As fresh leaders rise to power resulting from civic movements' demand for change, it seems that the new lot pays only lip-service to better governance. According to a Human Rights Watch report, human rights abuses continue even after electing new public officials. 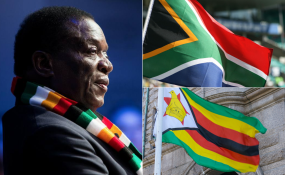 When Dewa Mavhinga, director of Human Rights Watch in Southern Africa, arrived back home in Zimbabwe on 4 December for the holidays with his family, he could not believe the prices of goods on the shelf. He had just left South Africa -- to where he emigrated and now stays permanently, and forgot to buy some Macadamia nuts he promised a friend who now lives in Tanzania. So when in Zimbabwe, he went into a mall, picked up a small 1kg bag of nuts and was shocked when the teller said they would cost him $146. "It took me about two weeks for the shock to wear off," said Mavhinga. Mavhinga spent six weeks in Zimbabwe visiting family and his childhood village. Fortunately, he left just before the violence broke out over the rise in fuel prices.